I pride myself in doing everything I can to make sure my customers are 100% satisfied with the process of the build and the final result. “Thanks for everything. I am very pleased with your conversion of my bike. It has been a pleasure to deal with you. As well as providing a very cost effective solution you kept me in touch at every stage of the process. The last few days I’ve been busy retrofitting 2 more Merida bikes. Just tested them out and tuned the gears to make them ride just right. It’s always satisfying turning a standard bike into something super. Merida Crossway 300 standard to superbike! I’ve completed a retrofit on a Merida crossway 300. The frame is light and agile and connects well with the 750watt TSDZ2 motor. On the first test run all systems ran perfectly and the bike topped out at 45km/hr with little effort due to the super light setup with mighty mini 52 volt battery weighing in at 1.36kgs and TSDZ2 motor at 3.6kgs. A total additional weight of only 4.96kgs. This frame is a perfect match for my stealth combo deal. Check out the videos below showing performance. REVIEW from Nev the proud owner of the Merida Bespoke Bionic Bike. Merida Crossway 300 with 750 watt motor. First test of TSDZ2 750 watt motor on Merida Crossway 300 bike. The Merida frame plays nice with the TSDZ2 motor, moving me along at 45km/hr. The fix is to turn your charger smart. This is done simply by retrofitting your current charger with a wifi relay switch that enables you to set a time to start charging. Let’s say you rise at 7 am before you commute to work. The smart charger will allow you to set a start time of 4 am which will charge a mighty mini battery to 100% in a few hours. Using this technology allows you to always use the battery within the 4-5 hour window. This will maintain peak performance of your battery for years to come. So now I’m offering a retrofit of your eBike charger for $50. Just call Bret on 021576337, drop your charger to me and I’ll get it done overnight and send it back to you. You’ll be able to remotely trigger a charge from anywhere and turn it off. Or you can set a start/stop time. The options are infinitely flexible. All this from your smart phone. Full instructions will be given on doing this simply and effectively. When I take on a job to retrofit a bike, I do all I can to keep you fully informed on how the process is developing. Communication is paramount in making sure you’re happy with the final result. Warwick from Gisborne recently reviewed his experience with the process and I’m proud as always to mention it here. 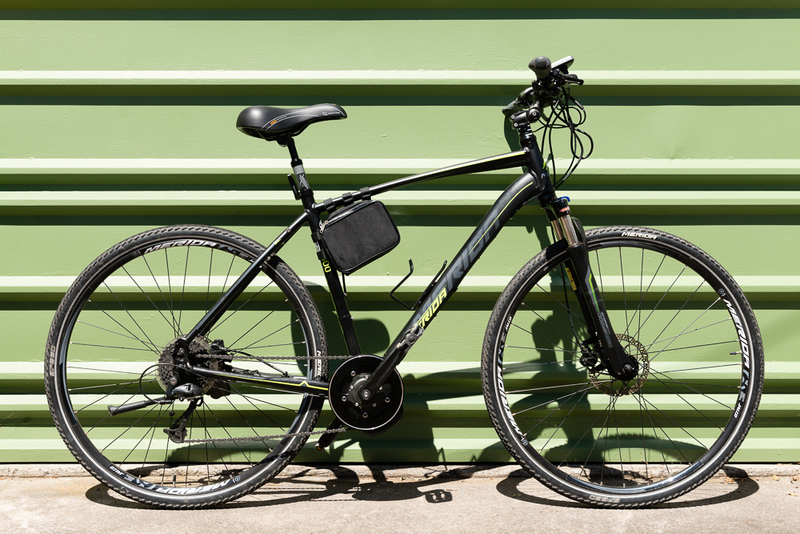 “Bret recently converted my mountain bike to a power-assist eBike. I couriered the bike all the way from Gisborne to Auckland and Bret collected it, did everything he said he was going to do, kept me updated with progress and then couriered it back. I was really happy with the end result and found him excellent to work with. 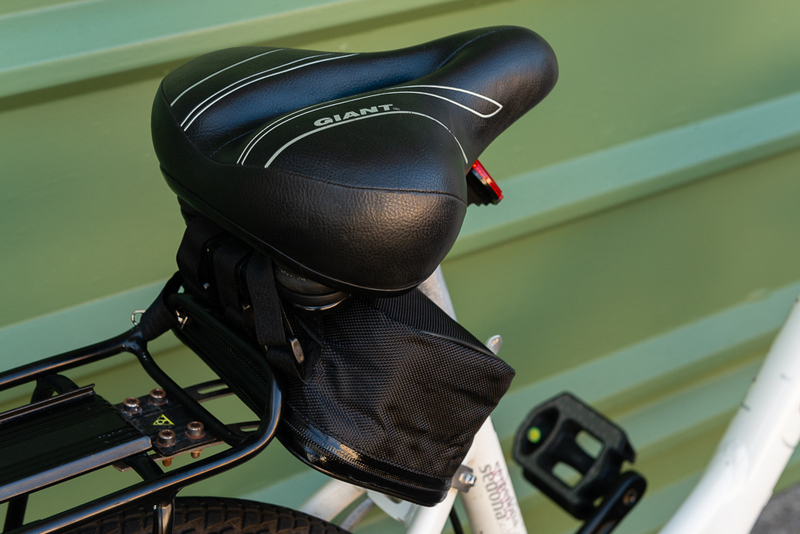 Jane has just picked up her retrofitted Giant Sedona. The unit is solid and performance is awesome. The build process required a little bit of tweaking with cable gear wires and locking the engine into place but the end result is bullet proof and will get Jane up steep hills with no issue. I always offer a 6 month and 1 year check to make sure the eBike is performing as expected. Please check out Janes review here. 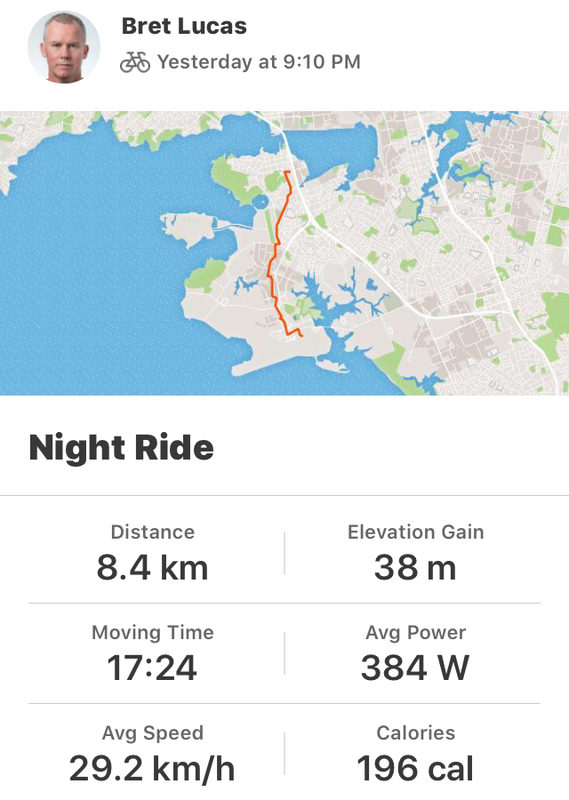 Averaging 29.2km/hr was a good result for last nights cycle from Auckland Airport to home. These figures are fairly consistent unless I’m riding into a big headwind, but even that’s no bother with power to spare. Below is a graph of my speed breakdown for the trip. Below you can see that I was putting in some effort with an elevated heart rate and that’s a good thing, but I do have a choice on how much effort I put in. 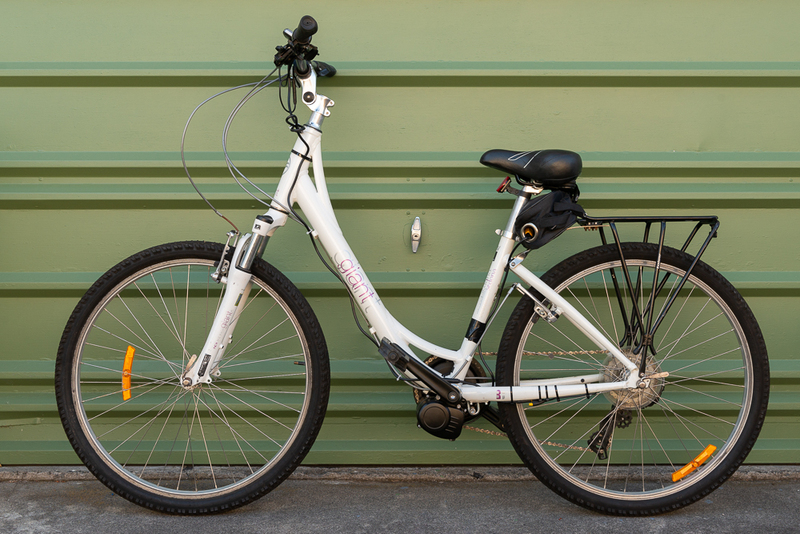 My latest eBike retrofit is that of a Giant Sedona which cyclist Jane will be using daily to commute to work. The frame doesn’t have a top tube so the question begs, where do you hang the battery when installing the eBike Stealth Combo kit?... easy fix. The 52 volt mighty mini battery being very small, fits under the back of the seat. The standard kit also comes with a 42t chain ring which concerned me when Jane tackles the Bullock Track which is steep and most standard eBikes wouldn’t be able to perform well. To confirm the standard chainring is geared correctly to cover such terrain I tested out a recently built bike on the Bullock Track and it blitzed the ascent without issue. The video below shows the test run. I managed 14km/hr whilst peddling with the torque assisted motor, and 10km/hr using throttle only. Jane will be very happy with the result. I travelled to Christchurch a few week back to retrofit another bike. Not all retrofits go swiftly but after building too many ebikes to count, I’ve seen all the issues. I had to grind out the bottom bracket by a millimetre to fit the motor into the bracket. The bike in question wis 15 years old and quality control for the frame wasn’t up to standard. After a bit of effort I fixed the problem ending up with another awesome Bespoke Bionic Bike. Jo’s new transport will help her get to work and back which is a round trip of 22 kms. GO JO! For the last year I’ve been riding to work and back which is a round trip of 17 km. I thought it might be worth considering the true savings I’ve made by not using my car to get to work. Let’s also extend that out a bit financially later in this article. The $$$ are only part of the big picture as I’m now a healthier person in a more resilient body, and my head space is a calmer and clearer place to be. So back to the $$$. I have a VW Touran 2.0 FSI and the cost of running my car is 64.2 cents/km. Figures have been gathered from the Automobile Association website. Based on this figure, travel to work and back would cost $2433.82 yearly. Let’s save that amount and extend that out for 10 years and compound the interest at a conservative 7% in the share market. I invest in Vanguard Index Funds. For more information on saving like a trooper, go to The Happy Saver. So I’m now saving $2433.82 a year by cycling to work and back and not using my car, and then investing this money monthly into Vanguard shares. Now the following figures are really going to turn your wheels. By starting with $2433.82 and then investing $202.82 monthly into Vanguard, I will save $39,996.21 in 10 years and that’s just by riding my eBike to work and back over a 17 km round trip. Extend that out to greater than 17 km and the $$$ snowball even more through the magic of compounding interest, also known as the 8th wonder of the world. So get on your bike and check out the combo deal I have and change your life! 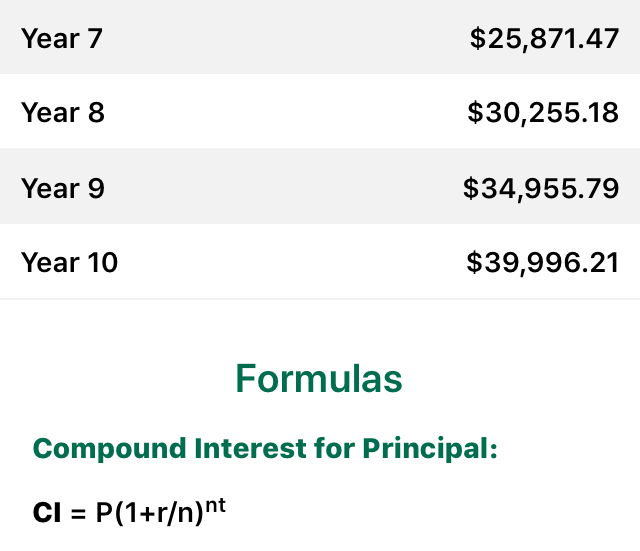 Check out the compound interest year on year below. And it just gets better below. I cover all of New Zealand if you want to ship your bike to me for a retrofit. I’m getting a lot of work from around the country now and have excellent rates to ship your bike to my place, get it retrofitted, and shipped back to you. It’s well worth the exercise as you’ll be better off by far. You end up with your own pride and joy turned bionic and it’ll have performance to boot, unlike those fancy bikes in shops that don’t really measure up. Nation wide coverage for shipping your bike to and from me. I’m making final orders for mid drive motors and batteries this coming week. If you want to make an order for the eBike Stealth Combo get in so I can have your bike retrofitted with a torque sensing mid drive 750 watt motor and 52v battery before Christmas. I was just doing the yearly oil change on my speedhub when I got a call from a customer just now. He wanted to know about the Rohloff Speedhub and why he should consider this gearing system with an eBike. Timing is everything so here’s an article on the Rohloff system. This site really is about eBikes but I think when Rohloff started manufacturing and marketing the internal hub gear for bicycles they were really just waiting for the eBike to be developed. Sure they were 20 years ahead of their time but here we are now with a gearing system that fits perfectly with a mid drive ebike motor. 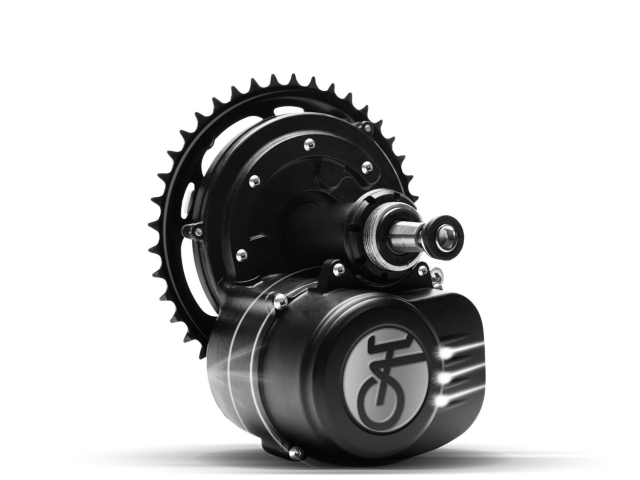 It’ll handle in excess of 3000 watts of power and has so many advantages over the normal derailleur system. How would you like a 526% gear range with no overlap of gears like derailleur gears. This means that top gear is 5.26 times higher than the lowest gear. Consider the following reasons to get a Rohloff on your eBike. Rohloff gears are hidden away, protected by the safe confines of a sealed aluminium hub shell. That makes a Rohloff hub extremely resilient against mud, grit, dust, snow and sand, and as a result, quite hard wearing. Rohloff drivetrains have less parts susceptible to external damage. There are no exposed derailleurs, delicate hangers, brittle cassettes or spring-loaded shifters that can fail. The 526% gear range provides plenty of gears to get up and over all kinds of terrain. With a Rohloff hub, you’ll be able to climb at 4km/h or motor along at 45km/h. I recommend setting the external gear ratio (chainring and cog) to something around 2:1 for mountainous terrain and between 2.5:1 to 3:1 for flatter terrain. The minimum ratio that Rohloff allow is 1.9:1 (eg. 32/17, 30,16 etc) – these ratios equate to a lower gear than almost any conventional drivetrain! Rohloff hubs should get you through a minimum of 100,000km riding before failure; many people have been known to cover far more. The only maintenance that you need to complete is an oil change every 5000km. This job is quick and easy, I can do it in about 10-15 minutes including waiting for the oil to drain from the hub. Getting the brushes between your cassette teeth, derailleur pulleys and chainrings is time-consuming and annoying. You can avoid almost all of this nuisance with a Rohloff drivetrain (ok, you still need to clean a singlespeed chain, but it’s much easier). 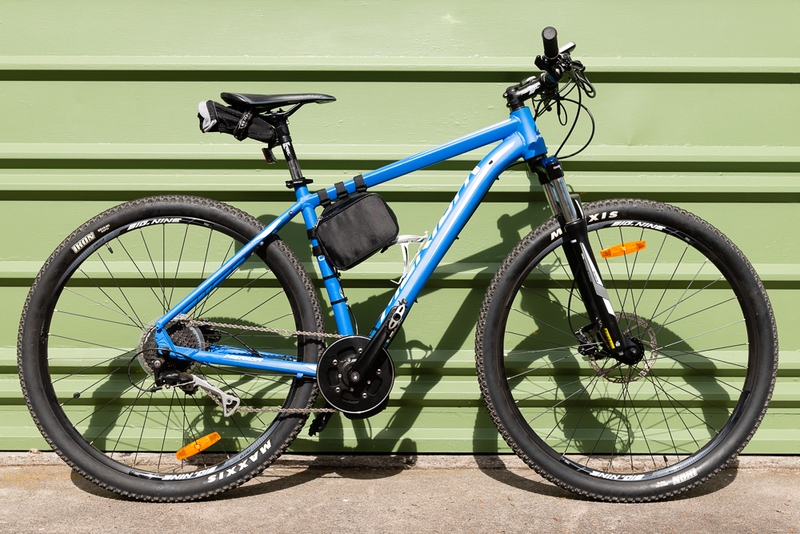 You can change gears without pedalling – a particularly handy feature for a loaded touring bike. For example, you can pick your gear before you take off at the traffic lights, or select the appropriate gear for starting on an incline. There is a constant 13.6% ratio change between every gear, making gear changes very predictable. Other internally geared hubs offer inconsistent ratio changes to compensate for their lack of gear range. As soon as you change the gear at the shifter, the hub is instantly engaged in the next gear and ready to go – there’s no dilly-dallying around here! 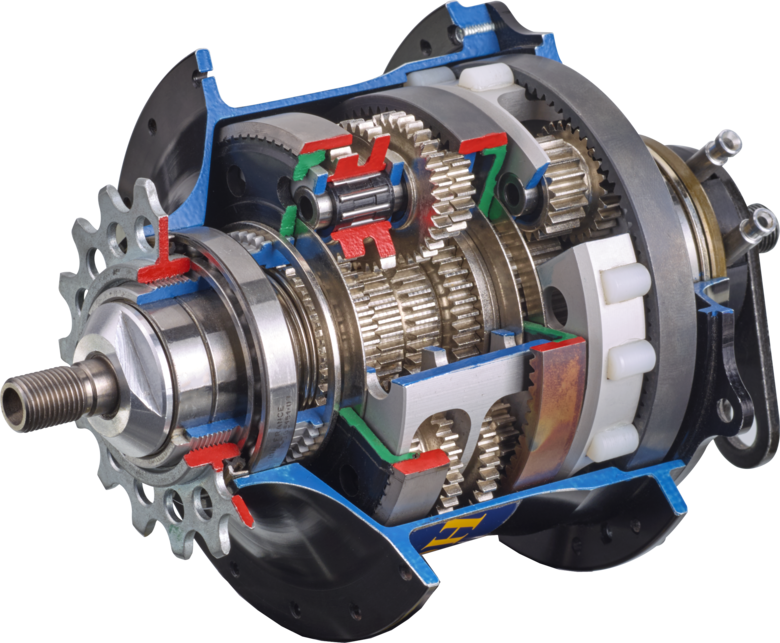 With the gearbox being ‘indexed’, there’s no chance of a gear slipping either. The chain line on a Rohloff drivetrain is perfectly straight, resulting in less chain wear. This equates to a longer chain life; I know people who’ve toured well over 20,000km with a single chain. Rohloff hub flanges are both the same height and are spaced equally from the frame on both sides. This results in even tension across every spoke which, in turn, build a stronger wheel. According to independent testing, Rohloff hubs are just as efficient as a derailleur drivetrain at transferring the power from your pedals to your rear wheel (~95% efficiency). In the mud, they would presumedly be even more efficient! Rohloff hubs use a dual cable system which requires both cables to either be pushing or pulling. Unlike a conventional trigger shifter, there are no springs or moving parts, eliminating it from potential failure. Once a Rohloff shifter is set up, the cables never have to be adjusted as the gear indexing occurs inside the hub. Rohloff hubs have a bigger shell, resulting in shorter spokes and therefore a stronger wheel for any given wheel size. Wheel strength is key for touring, as the rear wheel often takes such a heavy beating. Given the singlespeed drivetrain, you should never experience dropped chains, chain skip or chain slap on your chainstay. All the benefits of singlespeed life but with 14 gears! I’ve been tossing up which system works best. The thing is, it depends on many factors. This article is a blurb on the pros and cons of each. How can I make this assessment in an unbiased fashion? Because I ride, and like both systems, and each for different reasons. Hopefully by the end of this article, you’ll be better informed on which way to go and be able to make a clear decision, but the best way to be fully informed is to test both systems yourself. I’m comparing a mid drive Tongsheng torque sensing TSDZ2 750 watt motor and a Goldenmotor Edge 1000 watt motor with torque sensing bottom bracket. Granted, the bikes are different, so from the outset, I’m not comparing apples with apples; but at the very least you’ll get a good grip on the best setup for you. They both ride very differently. The TSDZ2 being mid-drive allows for the use of gears. You need to be aware that starting off in a high gear number can cause undue strain on the motor so best to use good practice as you would in a car and start off in a lower gear number. The rear hub drive isn’t an issue as no connection between the gearing of the bike and motor exist. You have an independent running direct drive system that is not influenced by gear selection apart from the use of a torque sensing bottom bracket that I recommend in all bikes I retrofit, this allows a connection between the effort the cyclist puts into pedalling, and the multiplying factor the motor responses with. Weight is important and plays a major role in how your bike performs. On road, it’s not a concern if you have a rear hub motor being heavier than a mid drive system because you don’t have to worry about the centre of gravity of the bike too much, apart from when you tackle curbs and the like. Off road a mid drive system will work better because of optimum centre of gravity and a lighter bike overall. I’m currently building a retrofit ebike for a client that has decided on the rear hub unit as he wants something for commuting to work 25km each way to work and back. The track he will be tackling with be sealed and half of it will be cycleways. He wanted the extra power of the rear hub unit and isn’t concerned with weight or agility. It’s a personal choice and one that should be considered carefully. The mid drive motor works well both on and off track and with the right set up gives an awesome ride. The rear hub drive is very able but is set up mainly for on road use. It has the centre of gravity positioned toward the rear of the bike and doesn’t put any strain on the gearing system of the bike at all. Both systems work very well and we are lucky to have a choice with this amazing technology. Imagine… you have a old bike gathering dust and rust in the garage. How bout I upgrade it? Make it better, stronger, faster than ever before. A customer in the Hawkes Bay wanted this dream to become a reality, so I made it so. 750watts of goodness. Quiet, quick and easy riding goodness, with a torque sensing mid drive motor, excellent display, controller and throttle. And I can do this to any bike with these goodies. Shipping isn’t a problem. I can get a good rate from anywhere in New Zealand. The Brown Giant… better, stronger, faster. Bret built a bike for me – and I could not be happier with the results. He was very helpful and talked me through each process, planning, buying and building. 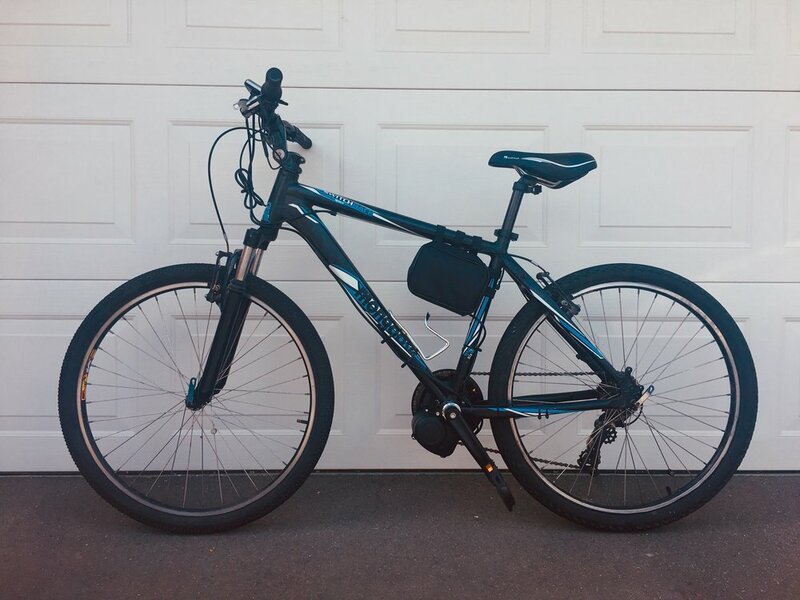 I am now a proud owner of an excellent electric assist bike, at a very reasonable price from a dependant, reliable and professional bike enthusiast. Click the button below to check out the same build components. Drag race with comedian Mike King and his "CoolBike"
nice looking but not much downstairs. Suli from Favona heads out for a test run on his Bespoke Bionic Bike and he’s lovin it! 750 watts of smooth power that you can hear.